It’s the supermarket sports day. Ready steady veggies! Your healthy veggie friends can’t wait to take part. This is no time to veg out! But the Evil Pea (surprise surprise) isn’t playing fair. 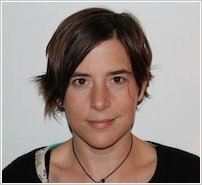 Who can stop this rotten green cheater? Hmm… someone with eyes everywhere, and a fearless sense of justice. Can you guess? This calls for POTATO POWER! 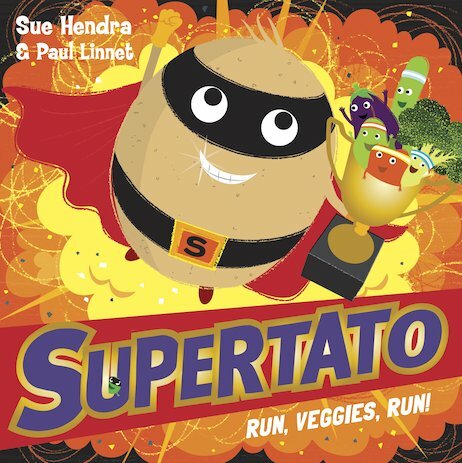 Your favourite super spud returns in this sporty picture book: as bright and brilliant as ever – and, we think, even funnier! 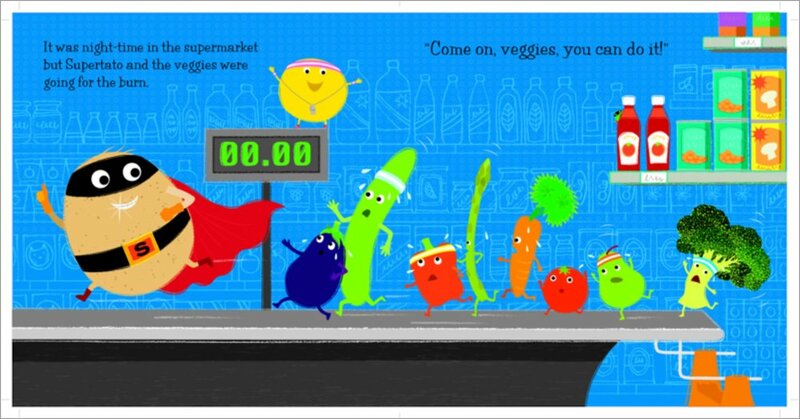 Cheeky fun with a healthy message: veggies plus sport! 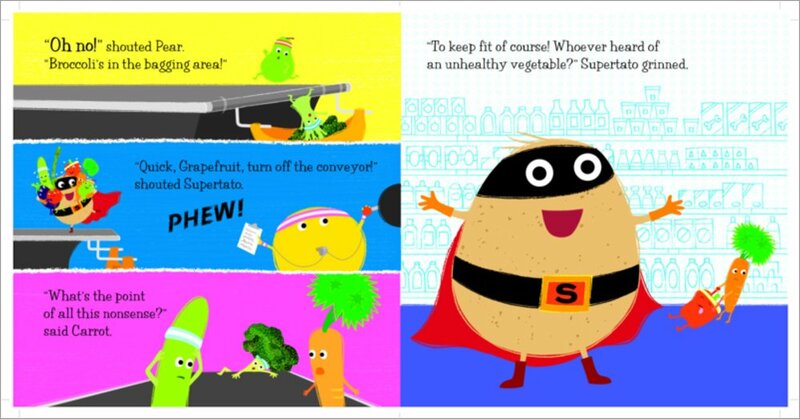 My son really enjoyed Supertato’s latest supermarket adventure, featuring some familiar characters. He had great fun with his robot voice and loved the little spot pictures on the front page. i love it it is funny .